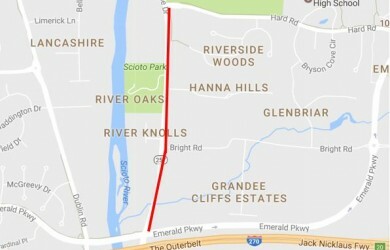 The S.R. 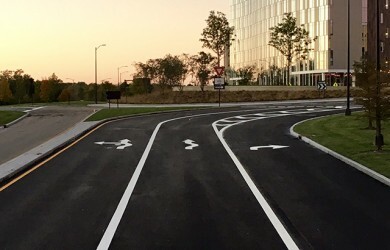 161/Riverside Drive roundabout is now open. 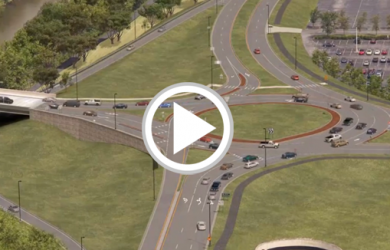 The roundabout is designed to improve safety and efficiency and to accommodate traffic volumes well into the future. 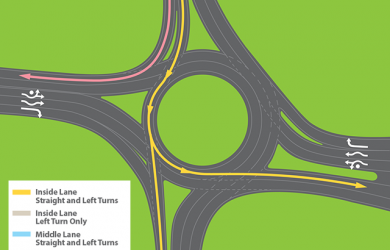 It also restores turning movements to the intersection, which had been restricted since the early 1990s. 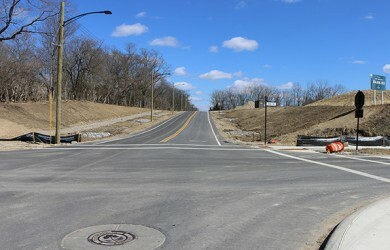 Along with the roundabout opening, a section of Riverside Drive between S.R. 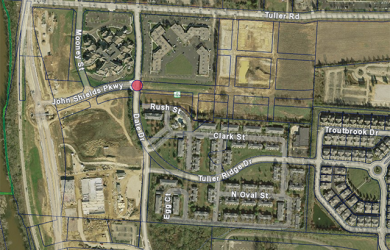 161 and Tuller Road was shifted to the east to open up riverfront park land. 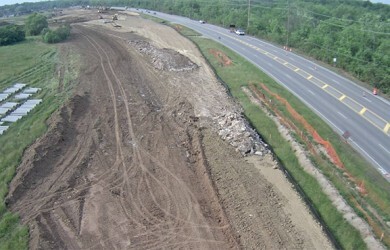 The park is currently being designed. 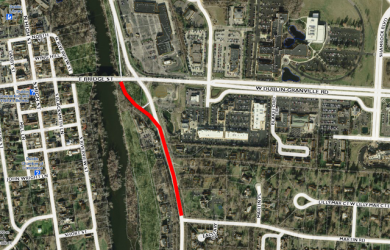 Beginning Tuesday May 16, 2017, lane restrictions are expected on northbound Riverside Drive between Emerald Parkway and Hard Road due to utility work. 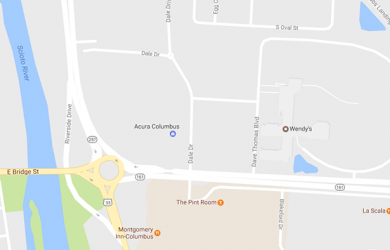 Columbus Fibernet will be removing fiber cable from the sanitary sewer system. 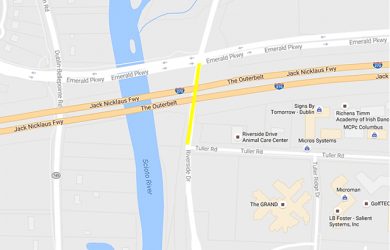 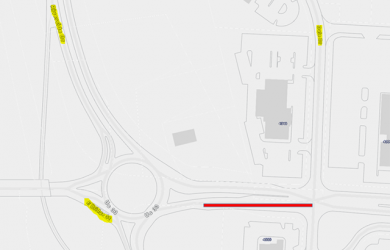 The work will take place daily between 8 a.m. and 4 p.
The new section of Riverside Drive between Tuller Road and S.R. 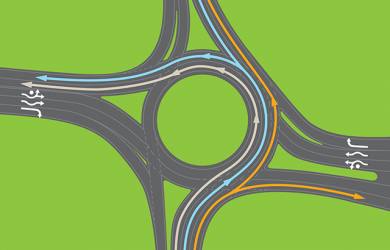 161 and the roundabout at the S.R. 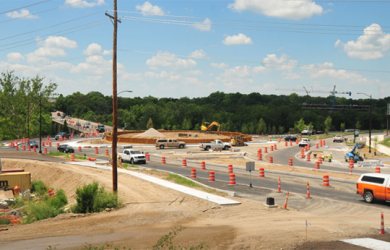 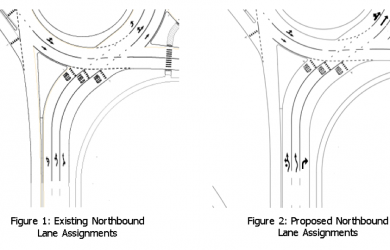 161/Riverside Drive intersection are expected to open in late August 2016. 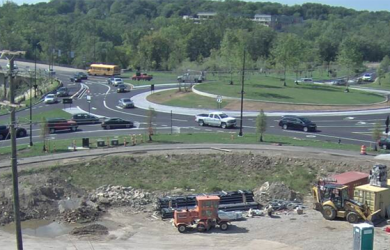 With the new roundabout at S.R. 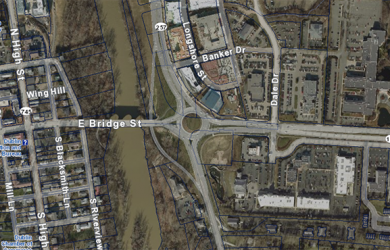 161/Riverside Drive scheduled to open in mid-August, we want to help educate drivers on how to safely navigate it.